Notice: This is an old thread. The last post was 2386 days ago. If your post is not directly related to this discussion please consider making a new thread. 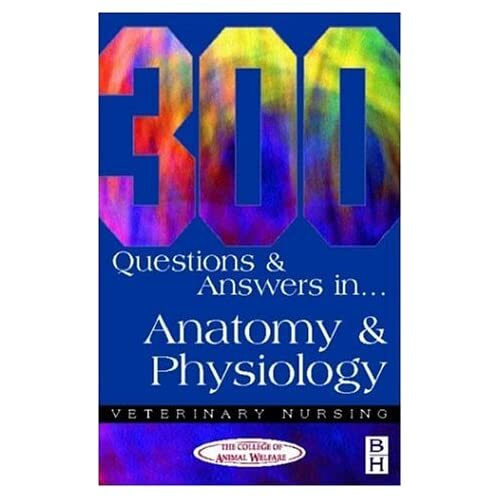 300 Questions and Answers in Anatomy and Physiology' has been published in response to repeated requests for self-test material in this subject - an area that causes most difficulty in examination. This collection of multiple choice questions gives the student the opportunity to concentrate on specific areas of weakness with a focussed and comprehensive review programme in the subject of their choice. Compiled by a leading training centre, these questions are representative of the type of question likely to appear in the examination paper. By using this revision guide you will not only increase your understanding of the subject but also increase your chances of achieving success in the examination. Last edited by Motoko; 10th October 2012 at 04:46 PM. Reason: ADD INFO, IMAGE, DESCRIPTION. TEMPLATE. UPDATE. Last edited by Motoko; 26th January 2013 at 02:44 PM. Reason: UPDATE.